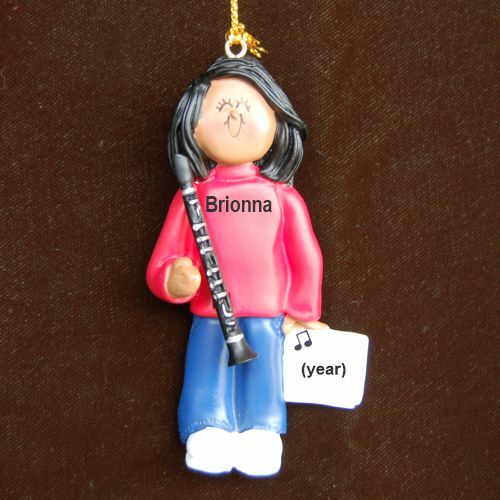 Whether she's just started playing or has achieved first chair status, your favorite musician will be thrilled with the clarinet virtuoso African American female personalized Christmas ornament hand lettered with her name and the year. These handmade and pretty musical instruments ornaments personalized for someone special arrive in our pretty velvet drawstring pouch for giving or storage. Show her your support any time of the year with the African American female clarinet player personalized Christmas ornament from Russell Rhodes.